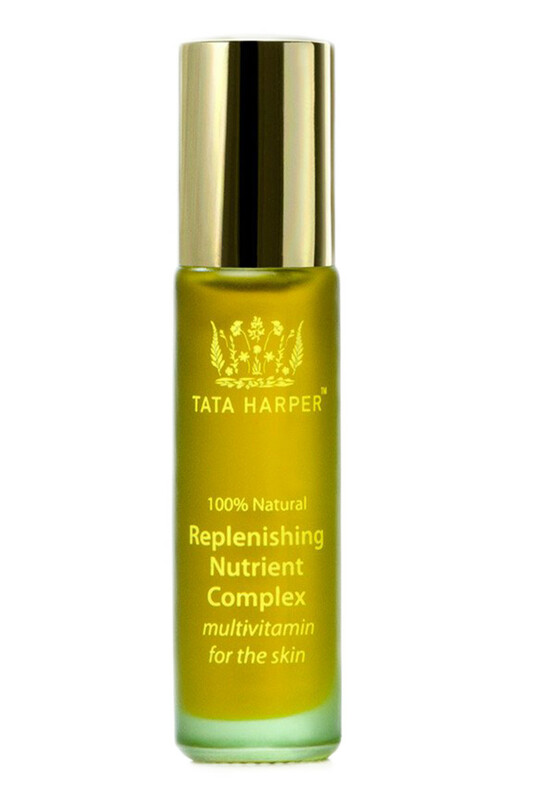 I&apos;m fairly certain that part of the success of Tata Harper Skincare is because people actually want to BE Tata Harper. The Colombian-born entrepreneur is a glowing advertisement for the green beauty lifestyle. Her complexion is absolutely luminous (even without a trace of foundation), she radiates with energy, and her rural Vermont lifestyle sounds positively idyllic. 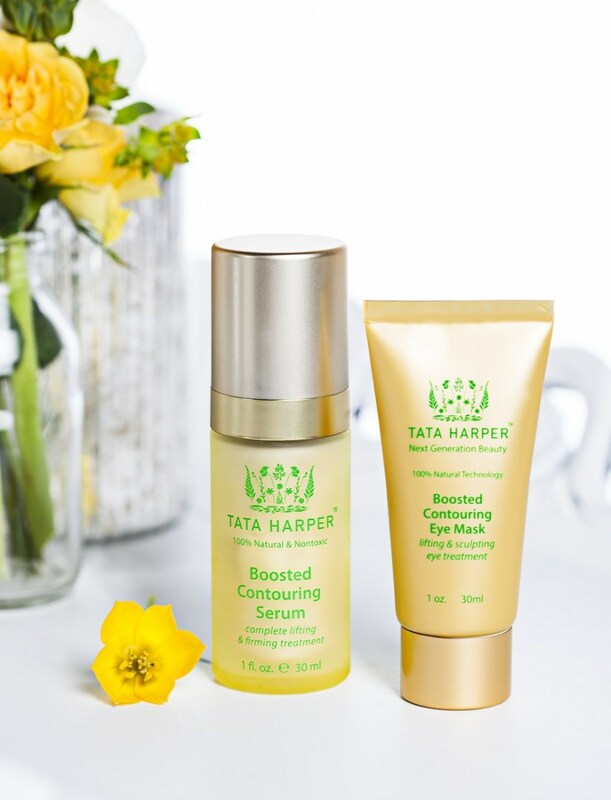 Tata&apos;s farm is also the headquarters of her eponymous skincare line, launched in 2010. 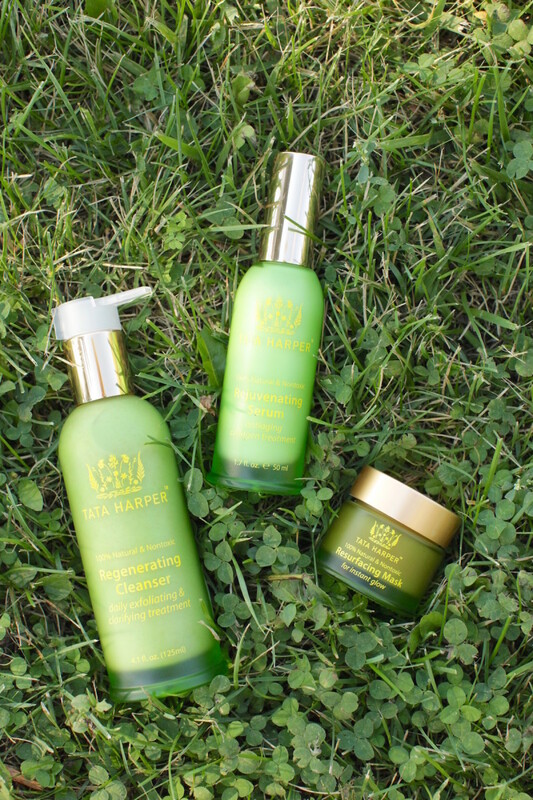 The 100 percent natural, EcoCert-certified products are all handmade on location, using many ingredients that are grown right in her backyard. 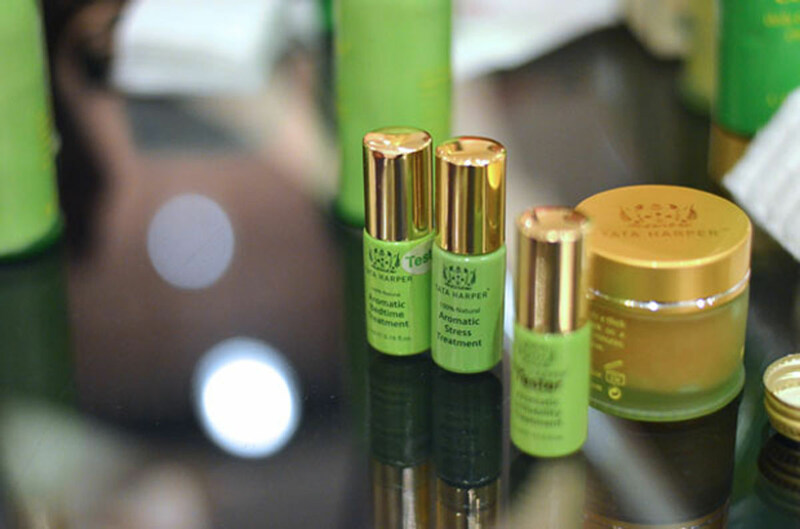 They&apos;re also chicly packaged in recyclable green glass, proving that "organic" and "luxurious" can go hand-in-hand. 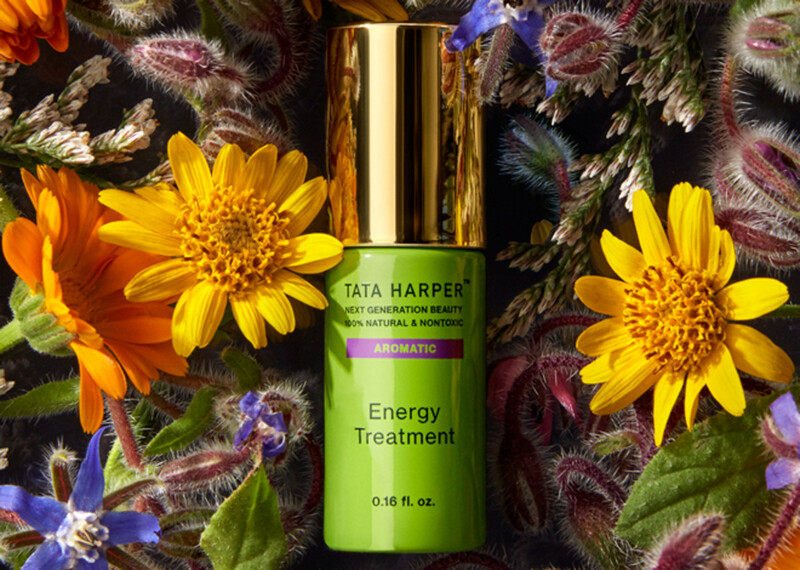 During her recent trip to Toronto, I got to meet Tata in person, and learned all about how she started her beauty empire, her approach to skincare, and what we&apos;ll be seeing from the brand next. With Tata Harper at her press event in Toronto. How would you describe your approach to skincare? What we stand for is the highest grade of botanicals, mixed together in a complex formula—not simple formulas by any means. And our products are completely pure. So you don&apos;t need to be thinking "Oh, what is this weird chemical?" or "What is this going to be rated when it&apos;s studied 20 years from now because they haven&apos;t been using it for a long time?" How did you first become interested in natural products? I started this company because I was on a journey with my stepfather, who got diagnosed with cancer about 10 years ago. He got treated in the US, and at the time I was living in Miami. I went with him to so many doctors because he did a lot of Eastern and Western medicine. Now, he&apos;s a cancer survivor. But what I realized along the way is that lifestyle, and those little choices that you make every day, affect so much of your health and well-being. I didn&apos;t realize it before that. So I started re-thinking everything after this experience with him. We started changing our food, eating organic food, changing the way we cleaned the house, changing the shampoos, conditioners and products for the face. The whole thing. 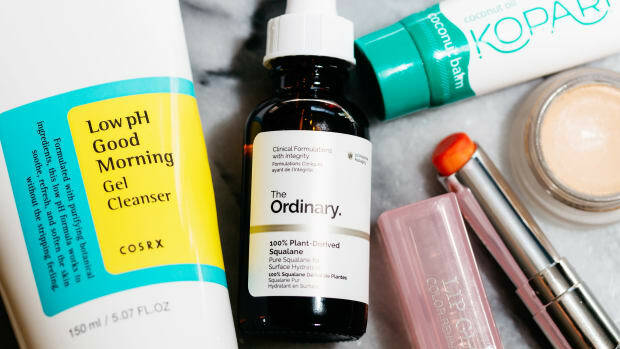 How did that lead to creating your own skincare line? Being a Latin woman, I love beauty. All Latin women love beauty. For us, it&apos;s not a luxury. It&apos;s not a chore that we don&apos;t have time for. It&apos;s a pampering experience. 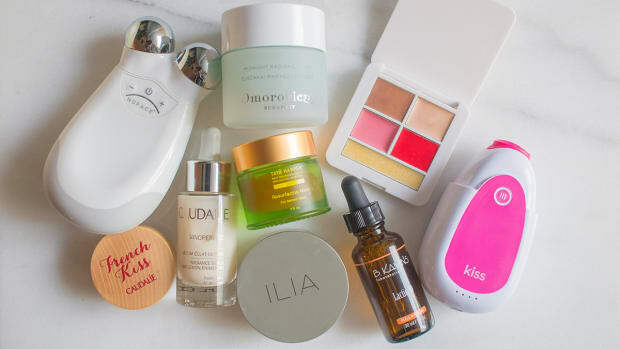 I was able to find replacements for pretty much everything except for skincare and makeup. Makeup is still a problem, by the way. 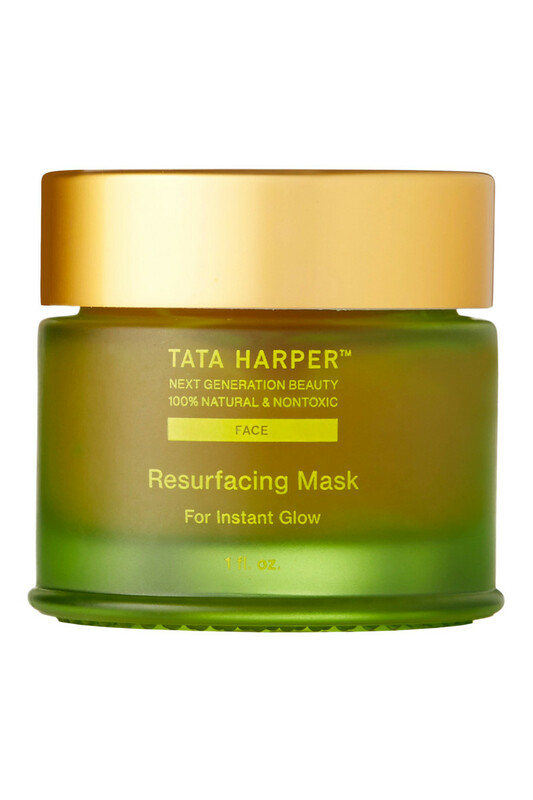 For skincare, I&apos;d go to the stores where I would always buy beauty, and they would be like, "Yes, Tata, this has algae." Or rose, or orchids, or that one natural ingredient. So you think everything&apos;s natural, but then you turn around the box, and it&apos;s like, "Wait! This has PEG-30." I would go home and Google. "PEG-30. A form of battery acid." Propylene glycol. "What is that? Oh, it&apos;s antifreeze added to cosmetic products." So I&apos;m like, "Why is it that I&apos;m spending a fortune here?" Yes, they have algae or whatever. But then they mix it with the lowest common denominators—the most industrial, cheap chemicals. And I&apos;m putting that on my face every day? So I thought, "I can&apos;t be the only person who is looking high and low for good products." What didn&apos;t you like about the skincare products at the health food store? I was never really the person who bought beauty products, like eye cream and stuff like that, at Whole Foods or in supermarkets. That&apos;s where natural products typically were found. Because natural beauty evolved that way, it has been overshadowed by so much skepticism. People always wonder "Does it work? Does it do what it&apos;s supposed to do?" The reality is, the natural products that were first introduced into the market were not the most high-end, were not the most luxurious, were not the most high-quality. So it&apos;s not a surprise that people were having bad experiences. Is your brand focused on any specific ingredients? I dedicated almost five years of my life to work with eight chemists who make these formulas from scratch. Not from a base, like the majority of companies do, but from scratch. Our line doesn&apos;t necessarily revolve around one active ingredient, like we&apos;re used to hearing. "Oh, this is all about vitamin C, or ferulic acid, or whatever." It&apos;s really about a combination of many actives. Why does it need to be just one? Our serums, for example, have 30-something active ingredients. Our cleansers have 12 active ingredients. So that in one bottle, you&apos;re able to get benefits from multiple ingredients, not just one. And then you can also rest assured that the rest of the formula and the rest of the ingredients—that no one talks about or no one focuses on—are equally as good. Like the preservatives. What do you use as preservatives? We bring a lot of preservatives from Germany. They are one of the leaders in preservation technology. We preserve all of our products with things like radish root and anisic acid. Things that are sometimes 20 times more expensive than their synthetic alternatives, but they&apos;re better for you. 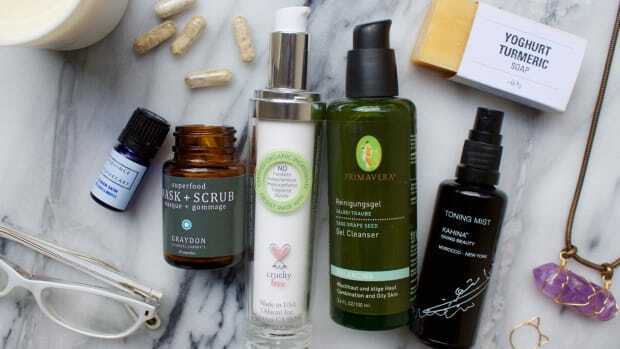 Have you found natural replacements for other common skincare ingredients? It&apos;s the same with everything else. We don&apos;t use PEG-30 to emulsify. Emulsifiers bind water and oil ingredients together to create creams, so you can have an emulsion. Instead of using the typical PEGs, we use waxes from olives that come from Milan, or gums that we bring from trees in Senegal. So you&apos;re able to have that same luxurious texture and the same preservation and everything else, but without having any synthetic chemicals. The other thing that is really unique about our line is that we actually make our products. We don&apos;t outsource production like the majority of the cosmetic lines that just outsource everything to the same five contract manufacturers, whether in LA or outside of New York. I actually live on my farm in Vermont, and we converted three dairy barns. We gutted them out and that&apos;s where we have our offices and our manufacturing facility. On the farm, we also grow ingredients that go into the line. We grow calendula, we grow arnica, we grow meadowsweet, we grow borage and alfalfa. We actually make a complex. 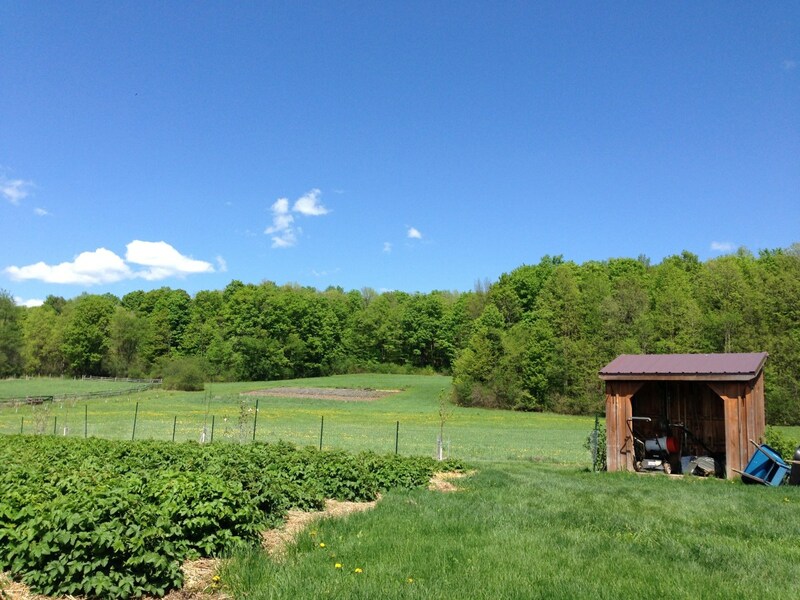 It&apos;s called the "Estate-Grown Beauty Complex," and that ingredient goes into all of our products. It gets mixed in with ingredients that we bring in from every corner of the globe. Right now, we bring in ingredients from 48 different countries. Sometimes, it&apos;s invisible to customers. But for us, it&apos;s so important to be able to do it so that when customers get them, the products are fresh. And they&apos;ve been made just a few weeks ago instead of six months ago and being stored in a warehouse. What&apos;s your daily skincare routine? I can&apos;t live without the Regenerating Cleanser. It&apos;s a great way of cleansing your skin without putting soap on it, or depleting your skin of moisture. Soap is a cheap way of cleansing the skin because it brings the pH really, really high. It opens the barrier and you lose all your hydration. So this cleanser keeps your hydration levels intact. 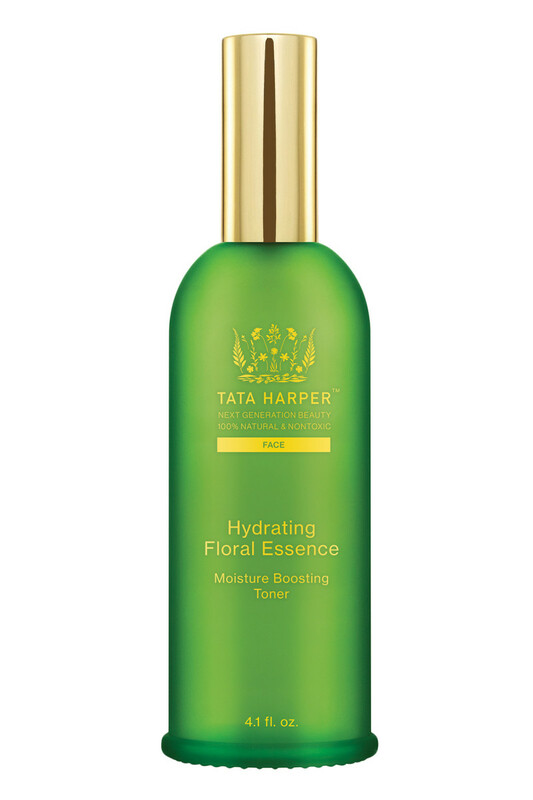 After that, I apply the Hydrating Floral Essence, which is a hydrating toner. It helps boost your hyaluronic acid. 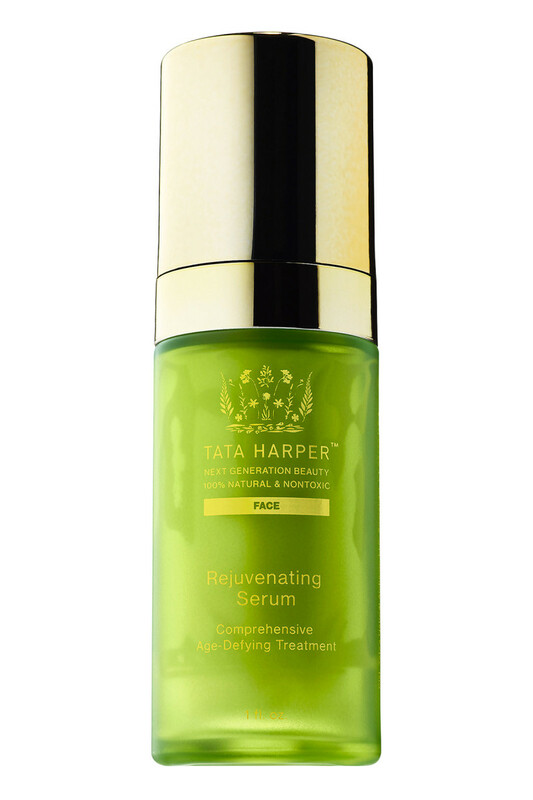 And then I put the Rejuvenating Serum on, which is my top, top product. That one is all about improving your collagen fibres by repairing and stimulating collagen. It has 29 actives. After that, the Replenishing Nutrient Complex would be the next thing. It&apos;s basically a complete multivitamin supplement, but topically applied. So it replenishes vitamins, minerals, Omegas, amino acids and antioxidants. It&apos;s all for environmental aging and it&apos;s a great protectant for the skin. Do you do any skin treatments? I love doing the whole multi-masking thing. I love putting the Resurfacing Mask all over. Then I put the Purifying Mask in the T-zone. It&apos;s not something I do every day, but you should put masks on once a week, at least. What&apos;s the biggest mistake you think women make with their skin? I think a lot of people are abusing acid peels. Oh my God. There&apos;s obviously a time for peels. You know, if you have a lot of acne, if you have a lot of rough skin, or if you want to bring that glow back. But I feel that women now are over-using them to the point where they use them daily. If you think about it, it&apos;s an acid. Usually the goal of anti-aging is to make your skin thicker, to make your skin more supple, to make it more resistant. Basically, with all these peels, you&apos;re just making it thinner and more fragile. Imagine if you are driving a car always in first gear. You burn the engine. That&apos;s exactly what&apos;s happening. There is a certain life span to the amount of cellular renewal that you have, the stem cells, so you really need to be careful with that. What would you suggest instead of acids? 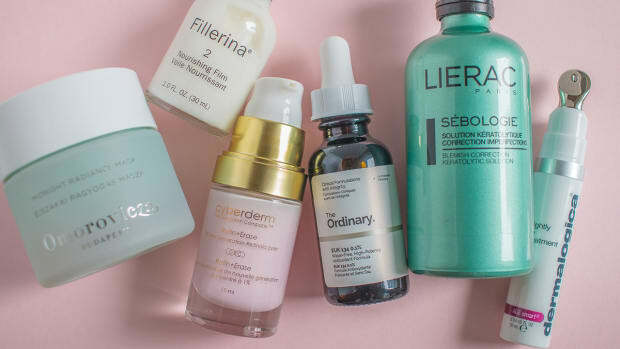 I think that you should try a regimen that replenishes your skin, that helps make it more supple and builds up resistance instead of trying to thin it out, which is what acid would do with long-term use. People should try to buy products that are more replenishing, to help enhance moisture in the dermis and to replenish the collagen fibres that make the foundation of your skin more resistant and strong. That&apos;s the ultimate strategy, to do real anti-aging that has to do with improving the structural support of your skin, instead of trying to peel off the surface so much. Are there any exfoliating products your the line? 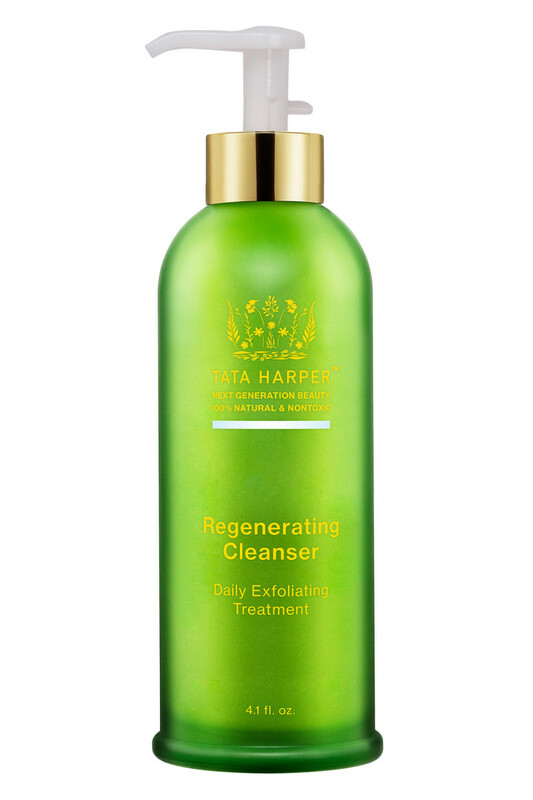 The Regenerating Cleanser gives you both chemical and physical exfoliation, because it has apricot seed powder that removes all that dead skin we&apos;re accumulating every day. So the skin is constantly being decongested. And then it&apos;s cleansing with pink French clay and pomegranate enzymes and grapefruit and neroli. It&apos;s really uplifting. The Resurfacing Mask is an exfoliating, hydroxy treatment mask. It has a lot of enzymes and clay to purge and detoxify the skin. It really helps bring that instant glow to the face and immediately brightens up the skin. It also helps minimize pores and even out tone. It&apos;s great for pimples, and as a spot treatment at night because of the salicylic acid content of the willow bark. What&apos;s the best way to treat or prevent aging skin? To use products that improve your collagen. I think a lot of people get confused because there are a lot of fancy words when it comes to anti-aging. You know, there&apos;s oxidation, and antioxidants, and vitamins, and peels, and all these different things. Really, the most basic thing is to use products that enhance the hyaluronic acid in your dermis and help build that plumpness. You&apos;re basically creating the right environment for your collagen fibres. They are this network of fibres that keep everything in place. But it&apos;s really important that they are in an environment that is flexible and gel-like, and that&apos;s where hyaluronic acid comes into play. So I would say that deep moisture and repairing and stimulating collagen are the ultimate goals of anti-aging, and what somebody should be focusing on. Antioxidants are about combatting the effects of environmental aging, and that&apos;s kind of secondary. What&apos;s the best way to combat acne? Acne obviously gets exacerbated by oily skin, clogged pores and especially the bacteria. That&apos;s why it&apos;s called acne, because the bacteria that causes the pimples is called P. acnes. There&apos;s also a lot of inflammation. All inflammation leads to tissue damage, swelling, pain and redness. 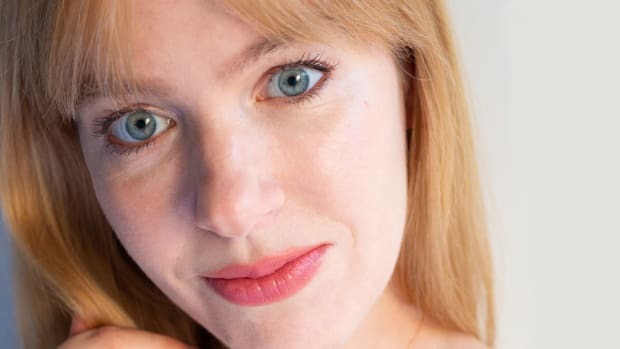 Women who deal with acne in their late 30s, 40s and 50s are having this problem and they go through a cycle of dry patches, or it&apos;s totally inflamed. And then they can&apos;t really take care of their wrinkles. It&apos;s a devastating problem. It&apos;s been hard for me when I see customers—because I love going to stores and doing classes in stores and things like that—to not have anything to help them out. We had a lot to treat wrinkles, to help volumize the skin, to give glow to the skin, to moisturize. But we did not have a solution for people who are acne-prone and also dealing with anti-aging. They need to take care of their blemishes as well as try to get rid of wrinkles at the same time. So I&apos;m super-excited about our new clarifying family. The Clarifying Moisturizer is a treatment that will legitimately help you with acne and all of the consequences of acne, in addition to meeting all of those anti-aging needs. In January, we are launching a Spot Solution. 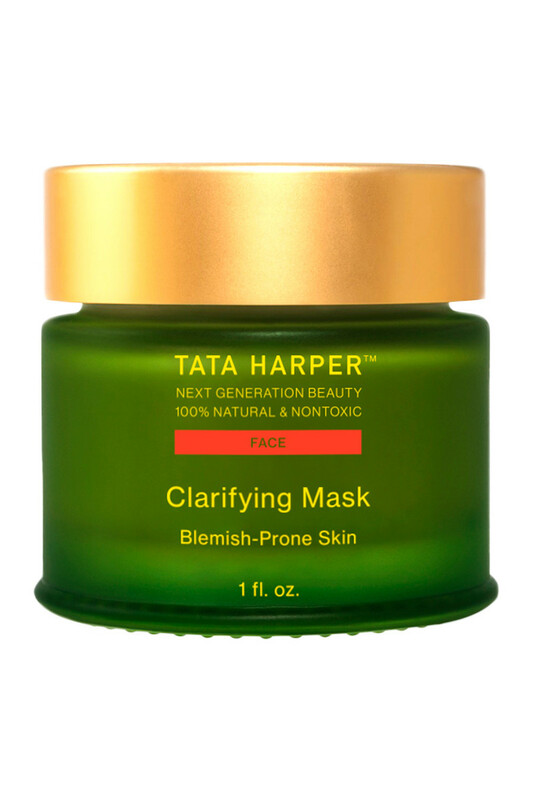 And in May, we are coming out with a Clarifying Mask. What do you think is wrong with conventional acne treatments? What we created is a line that doesn&apos;t necessarily revolve, like most acne products, around aggressive, harsh ingredients. Like acetone. That&apos;s nail polish remover. This is seriously how acne is treated nowadays. Acetone, alcohol, benzoyl peroxide and that level of ingredients. When you put them on your skin on a daily basis, imagine! Your skin is always dry, the barrier is always compromised, the skin is always flaky. How can you have moisturized, radiant skin that is wrinkle-free when you&apos;re dealing with that, and you&apos;re putting that on? So yes, [our line] has salicylic acid, but it also has ingredients that help you with inflammation, with redness. All of the byproducts of having acne. And it will help you with cellular turnover. We use willow bark and wintergreen, which are the most potent natural sources of salicylic acid on the market right now. Especially wintergreen extract; that is 100 percent salicylic acid. These two things give a potent antibacterial action, and help reduce inflammation. We also added zinc, which helps reduce sebum and is antibacterial; copper, which helps with inflammation and is an astringent; and sulphur from the oil of apple seeds, which is antimicrobial and antibacterial. There&apos;s also a super fruit blend. It&apos;s a healing blend. It&apos;s not focusing on drying out the pimple, but really healing the skin. It includes saw palmetto extract, which is one of my favourites because it basically reduces sebum by 54 percent in 28 days, which is unheard of. We also added Tazman pepper berry. It looks like a pepper, but it&apos;s a berry, and it reduces discomfort and redness by 80 percent in five minutes. So it has an immediate soothing action to the skin, which is incredible. We also used a lot of sea buckthorn in the formula. 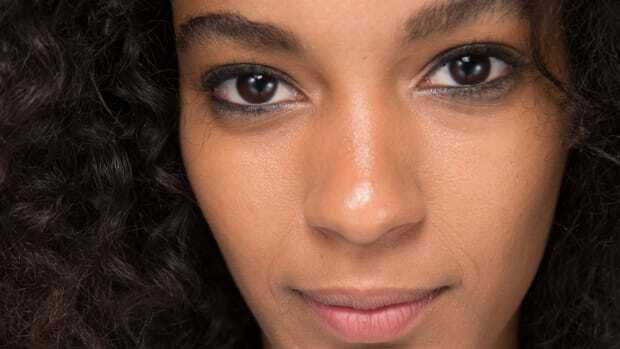 It has been typically added to skincare products because it&apos;s a rich source of trans retinoic acid, and it has a lot of beta-carotene and vitamin A. But it also contains a lot of Omegas that are actually very healing for the skin, especially the Omega-7. It&apos;s the most important Omega for your skin. This is one of the richest sources of natural Omega-7 to help repair tissue damage. Sandalwood seed oil is one of the most established anti-inflammatory lipids, because it contains a lot of ximenynic acid that helps with inflammation and redness. And elderberry oil provides a really broad range of antimicrobials. You&apos;re a big fan of essential oils. How can they help the skin? 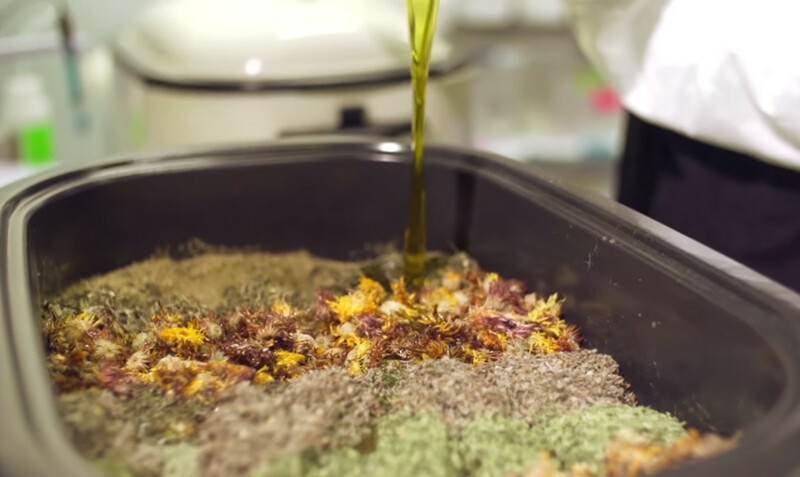 Essential oils are the most concentrated forms of any flower extract. They&apos;re extremely, extremely active. Using essential oils for the skin depends on the essential oil. Because the molecules are so small and lightweight, they&apos;re like nanotechnology in themselves. As actives, they&apos;re amazing—they penetrate and go in to do what they&apos;re supposed to do because they&apos;re very complex molecules. In the Clarifying Moisturizer, we added a lot of essential oils that are antiseptic, antibacterial and analgesic. They help with the discomfort and pain associated with having all that pressure when you have a blemish. So we have carrot seed oil, geranium, chamomile, coriander seed oil and juniper berry. How do you use essential oils for aromatherapy? Aromatherapy for your mood is another thing altogether. It is extremely powerful. You&apos;re basically inhaling these active molecules. Inhaling them is how you get the immediate benefit. We have an organ that is at the base of our nose; it&apos;s called the olfactory bulb. That organ is close to the area of our brain that controls mood and emotion. That&apos;s why sometimes when we smell foods or perfumes, we immediately get an emotional reaction. When you&apos;re inhaling molecules that are known to give you certain psychological or emotional responses, it&apos;s actually the best way of controlling different issues like stress, anxiety or irritability. Or they can be sedating, for people who can&apos;t fall asleep because they can&apos;t stop the chatter in their heads. It just depends on what you&apos;re targeting. Obviously, there are different essential oils to target every aspect of mood. Each has its own frequency and vibration and energy. Can you tell us a bit about your aromatherapy blends? We have Bedtime, we have a blend for Stress, we have another blend for Irritability—which, by the way, is my favourite. 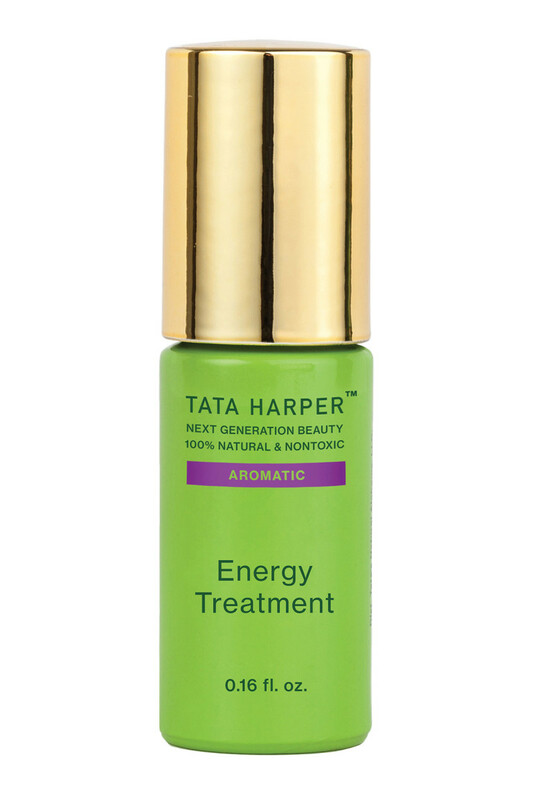 The new Energy blend promotes alertness and vitality. It has 12 essential oils. There is a brand new study that shows the depletion of energy from technology, like from screens. We are attached to screens all the time, and that depletes a lot of our internal energy. So it&apos;s like a protection from that. It has eucalyptus that is stimulating. We added geranium because it helps you preserve your positive energy. It&apos;s really exciting. Geranium is one of those essential oils that if you are ever feeling bad, if you&apos;re low or you&apos;re in a bad mood, use geranium and it will immediately uplift you. Lemongrass is great to help reduce fatigue. It brings back that energy into your body. So this is not about skincare, it&apos;s about inhalation. How do you recommend using it? What I recommend is putting it on your pulse points. The most important step is to inhale, because that&apos;s how you get the benefits from aromatherapy right away. Really inhale five times. I love putting it in the palms of my hands, and then I rub them together to heat it up, and I take five deep breaths. The Energy blend is great for the morning, like when you go exercise, and you&apos;re like, "I&apos;m so tired, I don&apos;t want to go to the gym." Try that and it will give you the motivation. Also after lunch, for that mid-day slump, or if you travel a lot like I do. Many people hesitate to switch to natural products because they&apos;ve heard the skin goes through a "purging" process. Is that true? Yes, it can happen. Absolutely. Your skin is going from one extreme to another, and it&apos;s adapting. But I wouldn&apos;t say that it&apos;s a general rule. Not everybody goes through that. A lot of times, it&apos;s fine, especially when people are careful about how they introduce natural products. If they start introducing them slowly, I feel that is the best way of getting into a healthier routine with your skin. But your skin can react because of a shock. What results can people expect when switching from conventional to natural skincare? 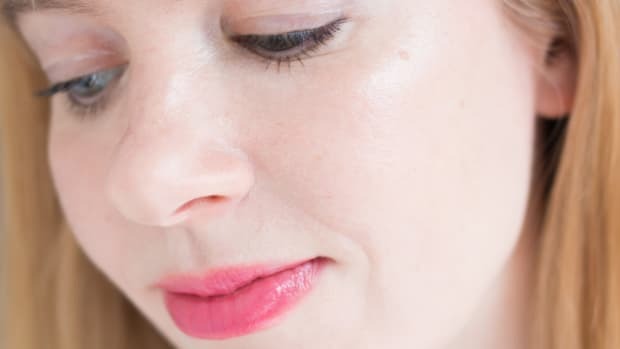 One of the things people start noticing when they&apos;re using high-quality natural products is that they penetrate into the skin almost immediately. They&apos;re low molecular weight, so they really sink in. Another thing is luminosity. Because the products are completely biocompatible, they make your skin just glow. Also, the density and plumpness of the skin starts changing. Your skin gets healthier right away. 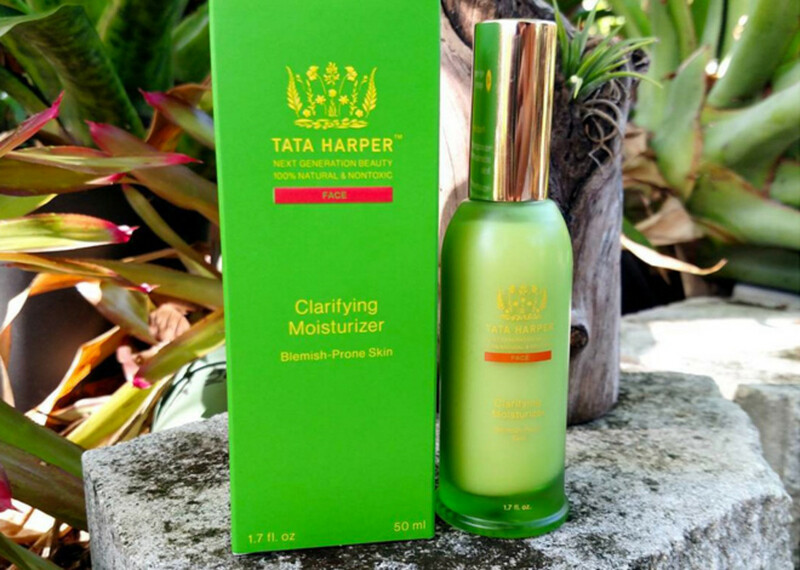 Have you tried anything from Tata Harper? 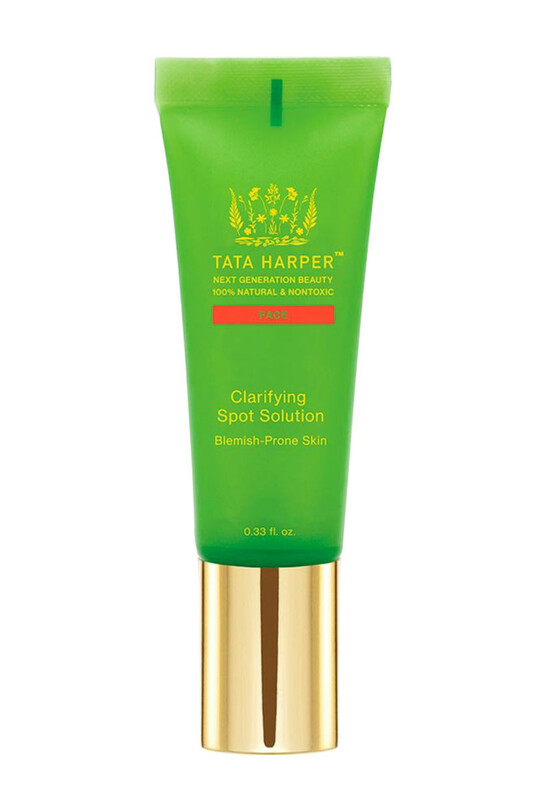 How do you feel about Tata&apos;s approach to skin? 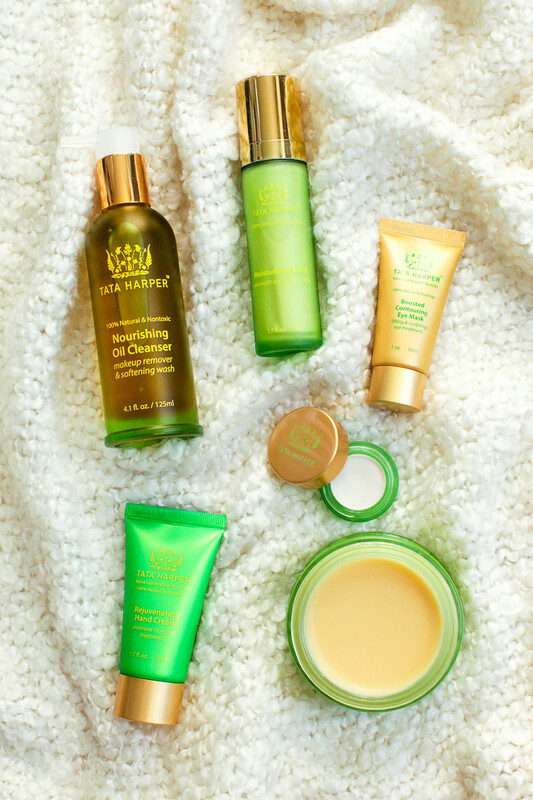 Plant-based products your face will love. 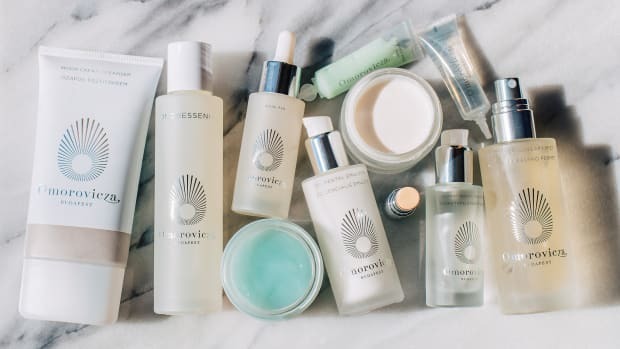 What's really worth it from this mineral-rich range.